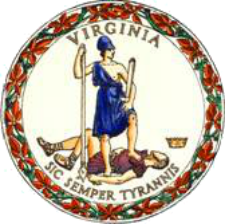 At its monthly meeting Tuesday, Virginia’s Commonwealth Transportation Board announced the start of the Innovation Summit and the commencement of the latest update to VTrans. Innovation is the focus of this year’s Governor’s Transportation Conference, an annual gathering of state agencies and transportation professionals – and, this week, an opportunity to convene on transportation innovation. The summit, which begins Tuesday, Oct. 30, and ends Friday, Nov. 2, will focus on new technology, preparing for the future workforce, public-private partnerships, regional and multimodal connectivity, safety, and recent successes among state agencies in innovation. The Board also announced that the next update of VTrans – Virginia’s mid- and long-range multimodal planning document for transportation – is set to begin. VTrans provides the overarching vision for development, preservation, and maintenance of Virginia’s transportation system. Once every four years, the CTB revisits priorities and policies in light of updated information and trends, as well as input from the public and local jurisdictions across the Commonwealth. The VTrans update will focus on the long-term viability of transportation funding sources, the resiliency of infrastructure to limit disruptions and closures due to natural events, and opportunities to leverage new technologies to address the Commonwealth’s transportation challenges. VTrans identifies transportation needs which are used as eligibility criteria for SMART SCALE and other funding programs. The planning document also includes an implementation strategy to ensure progress is made toward achievement of the CTB’s vision. The Office of Intermodal Planning and Investment (OIPI) will assist the CTB in development of the VTrans update, and will conduct extensive public outreach to gather feedback, beginning with a statewide public survey of attitudes and opinions on the state of transportation in Virginia. VTrans-related comments and suggestions can also be submitted to comment@vtrans.org. In other business, the CTB approved two contracts totaling $29.7 million for maintenance and construction projects in the Virginia Department of Transportation’s (VDOT) Bristol and Northern Virginia districts. A $19.8 million contract was awarded to Orders Construction Company, Inc. of St. Albans, W.Va., to replace two bridges that carry Interstate 81 over Reed Creek and Formato Lane in Wythe County, part of VDOT’s Bristol District. Additionally, a $9.9 million contract was awarded to Fort Myer Construction Corporation, of Washington, D.C., to provide resurfacing in various locations in northern Virginia. Additionally, the Board approved the Policy for the Implementation of State Transit Capital Prioritization. The Virginia Department of Rail and Public Transportation (DRPT) has worked with the Transit Service Delivery Advisory Committee and other stakeholders to develop the necessary policies and processes to implement transit capital prioritization. Transit capital projects will be categorized as State of Good Repair, Minor Enhancement, or Major Expansion with newly adopted processes regarding the funding of each. In addition, the director of DRPT will analyze the outcomes of this process on an annual basis and revisit the process at least every three years, in consultation with the necessary stakeholders, and make necessary recommendations for improvement to the CTB. The CTB also approved urban transit agency strategic plan guidelines, required for the 16 local transit agencies in Virginia that serve an urbanized area with a population of 50,000 or more and have a bus fleet of at least 20 buses. As a condition for receiving state transit funding, the Code of Virginia requires local transit agencies to update these plans at least every five years. Prior to Board approval, the draft guidance was made available for public comment for 45 days. An update to the Rail Industrial Access (RIA) Railroad Track Program policy, which will take effect January 1, 2019, was also approved today. The program will require a minimum 30 percent local or private match, provide grant funds up to $450,000 per project, and allow mainline switch expenses to be eligible for reimbursement. In addition, relocation of a business within Virginia will be considered on a case-by-case basis.